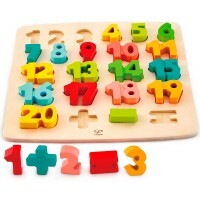 This math learning toy demonstrates number relationships and helps your child better understand addition, subtraction, and comparisons. 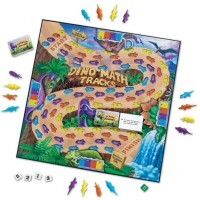 Educational Toys Planet welcomes a really exciting toy that solves math problems! 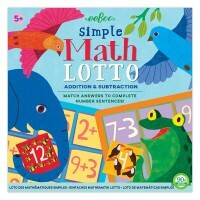 Number Balance Math Learning Toy by Educational Insights appeals to the visual learner who's ready for some number fun. 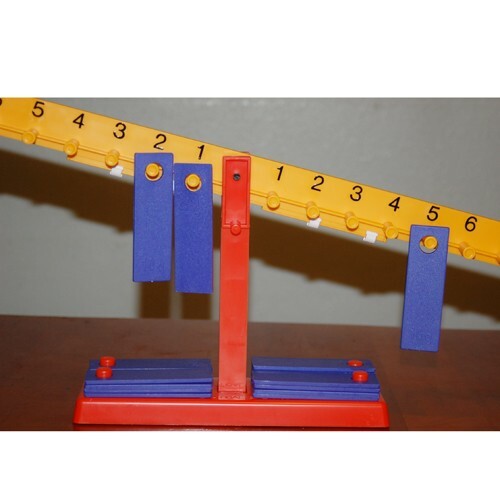 Number Balance scale toy teaches children of all ages important facts about counting, numbers and thinking skills. 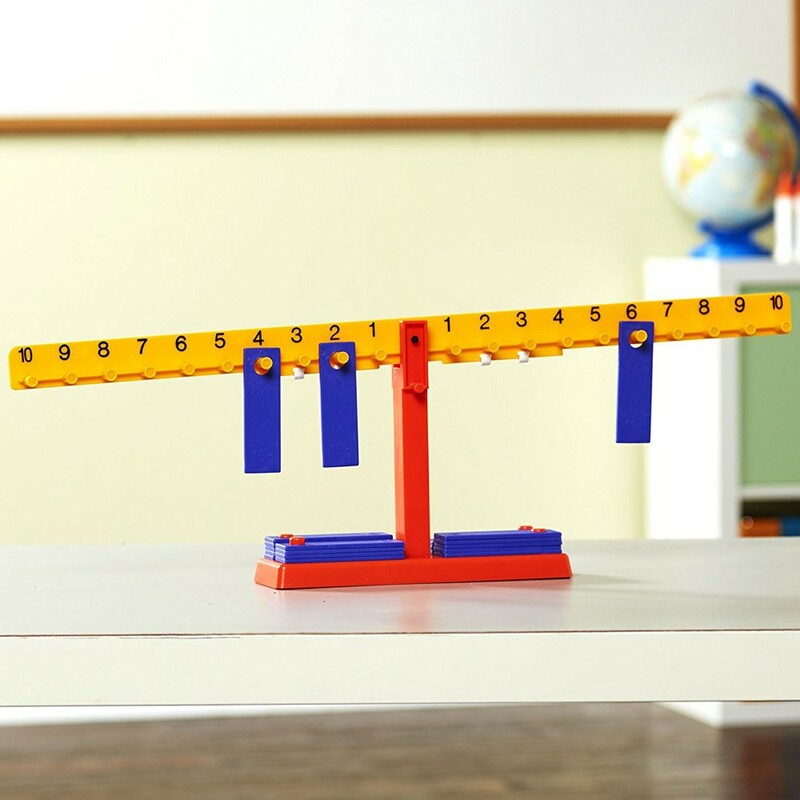 Your goal is to balance the scale by placing special weights on each side. 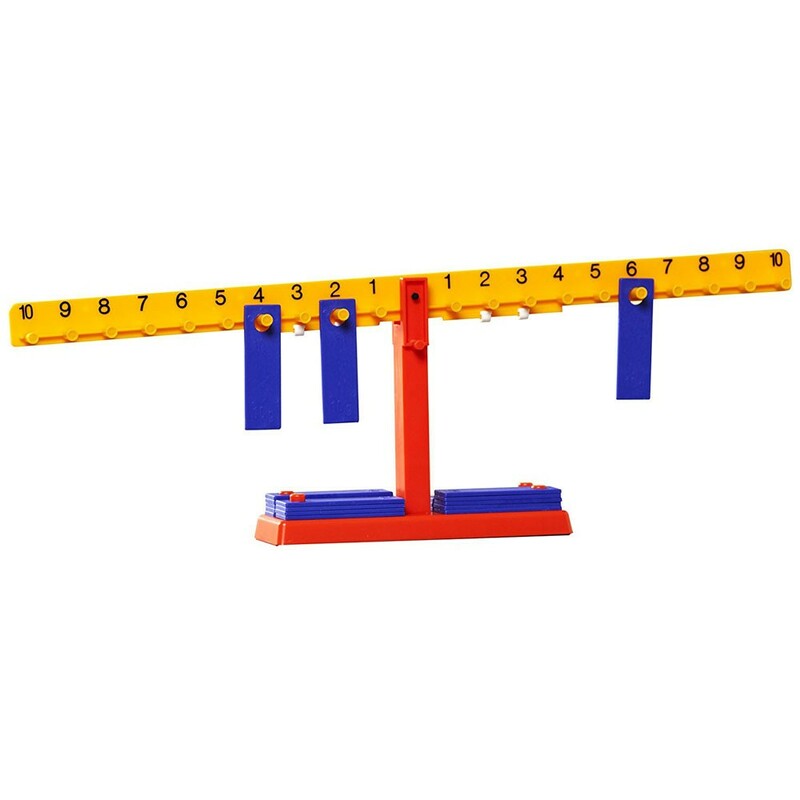 What's the trick to balancing? Make each side equal! 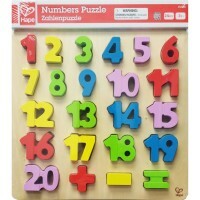 If you have weights on the 4 and the 2 slots on one side, the other side has got to have a weight on the number 6 slot. 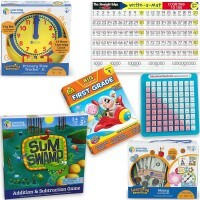 Number Balance Math Learning Toy demonstrates number relationships and helps your child better understand addition, subtraction, and comparisons. 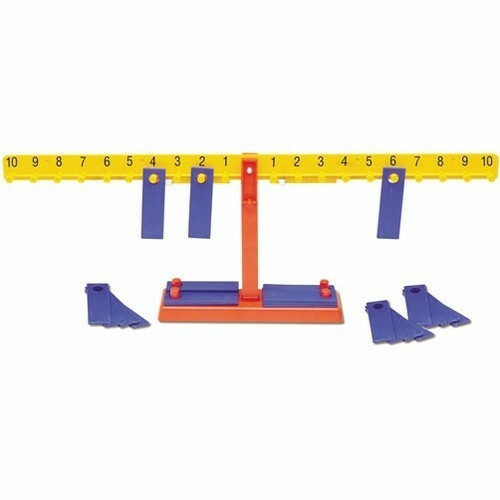 This math teaching set comes complete with 20 weights, a teacher's guide and a ton of potential fun! 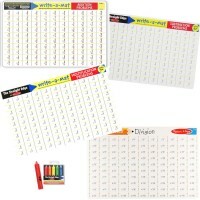 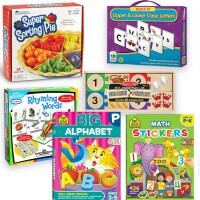 Dimensions of package 26.6" x 3.3" x 2.9"
Write your own review of Number Balance Math Learning Toy. 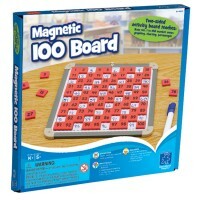 Rating: 4 by Jackie, IA It really works! 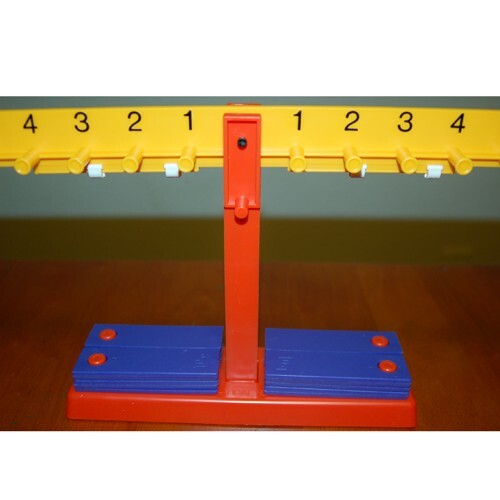 The product is made of sturdy materials. 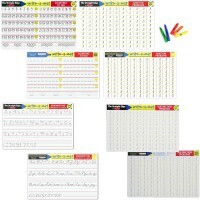 Rating: 5 by Barbara, NC This is a great visual way to help children understand the relationship between numbers. 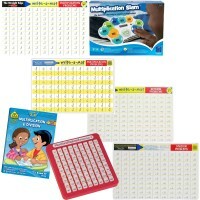 Rating: 5 by Katarina, IL Wonderful math teaching product for children.